With those pillars at the heart of all her work, Cindy has grown S3 from a five-person, $2.3 million company to the international, $350 million IT and business services corporation it is today. S3 has had $2.4 Billion in sales since its inception with $1.2 billion of those sales occurring in the last 5 years. From its Detroit headquarters, Cindy has expanded services across the country and across the Atlantic with 25 U.S. branches and seven European locations, including offices in Lithuania, Latvia and Great Britain. It is ranked 17th among the largest staffing firms in the US by Staffing Industry Report and is one of three companies nationally certified as a Charter Partner with Staffing Industry Analysts. 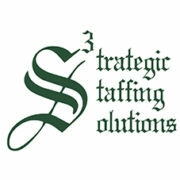 S3 is also ranked as the sixth largest diversity staffing firm in the US by Staffing Industry Analysts and one of the top 25 among woman-owned business in the nation by Women’s Enterprise USA Magazine. Through all of this, Cindy has never wavered from knowing what she wanted, and choosing who she wanted to be. She imbued S3 with these same qualities and lives the “Green” culture she has created every day. –Cindy operates from an inverse organizational structure where customers, consultants and communities are always first. It’s no surprise, then, that she was recognized among Staffing Industry Analysts’ Global Power 100 Women in Staffing and was inducted into the inaugural class of SIA’s Staffing Hall of Fame. S3 was also named “101 Best and Brightest Companies to Work For” by the Michigan Business and Professional Association and a “Cool Place to Work” by Crain’s Detroit Business. –She hires based on talent rather than experience. Success to Cindy is defined as people working well in roles they’ve never filled before. –She has even colored her hair with green streaks, which was unveiled at an annual meeting. It has stayed green ever since as a constant reminder of the S3 culture and staying true to brand. 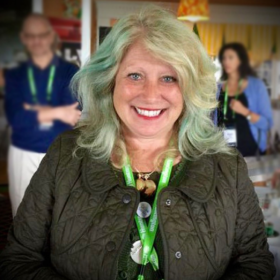 –Cindy has successfully transitioned from entrepreneur to CEO while maintaining her entrepreneurial spirit. –She has scaled investments while maintaining profitability. –She has instilled throughout the corporation the discipline of always seeing opportunities. She is a community servant. She serves as board chair of Endeavor Detroit, Downtown Detroit Partnership, and co-chair of the Mayor’s Workforce Development Board, whose north-star goal is to put 100,000 Detroiters to work. A global ambassador, she is the founding chair of the American-Lithuanian Business Council and serves on the Investor Advisory Committee of the Government of Lithuania. Additionally, she serves on the board of numerous Detroit nonprofits that support the arts, environmental initiatives, and literacy. Leading with values and decisiveness, instead of a hulking business plan, Cindy’s style has brought success to the corporation and to the communities in which it operates. Giving back, as Cindy vowed to when she founded the company, is still at the heart of the corporate culture at S3; last year it donated more than $2 million to charities around the world. Her business acuity and generosity have not gone unnoticed. Cindy has been named one of “10 Most Intriguing People in Staffing” by Staffing Industry Review, one of “Detroit’s Most Powerful People” by Crain’s Detroit Business, ranks among the “Global Power 100 Women in Staffing” by Staffing Industry Analysts, and a “Top Woman Entrepreneur in North America” by Women Impacting Public Policy. She also has been inducted into the Michigan Business Women’s Hall of Fame and the Michigan Women’s Hall of Fame, named a “Michiganian of the Year” by The Detroit News, and received countless other awards and honors. And S3 was named among the Top 25 woman-owned businesses in the nation by Women’s Enterprise USA Magazine. Born and raised in the Motor City, Cindy is and always will be a devout Detroit champion. She lives in the city with her partner in work and life, Paul Huxley. As animal welfare advocates, they have opened their home and hearts to five adopted cats and an adopted dog. (Friends nicknamed their house “the wild kingdom.”) Three pampered office cats – CTO, Green Bean and Guinness – and an office dog, Sam, call corporate headquarters their home. An avid Detroit Tigers baseball fan, Cindy has never missed an Opening Day game since she was 7 years old. Her phone’s ringtone is the sound of the revving engine of a race car. And she enjoys the occasional full-bodied whiskey and a good cigar.